Nigerian businessman Femi Otedola on Wednesday appeared before an Abuja High Court to testify in the trial of a former member of the House of Representatives, Farouk Lawan for alleged fraud. He entered the witness box after he was introduced by the prosecution counsel, Adegboyega Awomolo after which a video where Lawan was seen receiving $500 000 from the Zenon oil boss, was played. 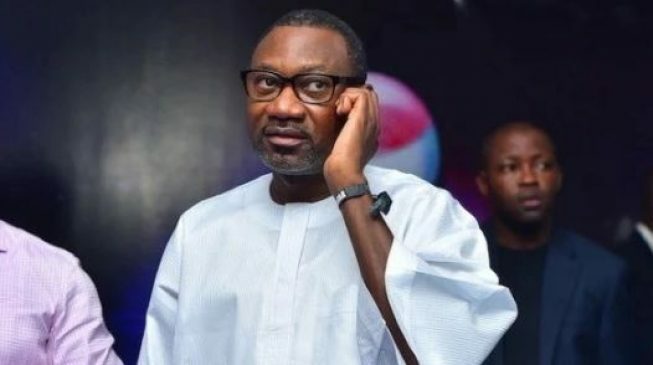 According to Otedola, the accused had indicted his company in the alleged fraud and demanded three million dollars to exonerate him. He added that after the initial deposit of $500,000 was paid into his account, Lawan declared Zenon Oil and Gas free of the initial indictment. When asked by the prosecution counsel about the claim by Lawan that the witness forced him to take the money, Otedola denied it. Otedola also denied a claim by Lawan that Zenon Oil and Gas was exonerated on the basis of documents later provided by the company. The defence counsel was, however, unable to cross-examine Otedola as he requested for an adjournment to enable his principal to attend the next trial and conduct the cross-examination. Lawan was first arraigned in February 2013 along with another accused, Boniface Emenalo, for allegedly receiving $620,000 of the alleged bribe from Otedola and his company.